Don't you just love getting packages in the post?? 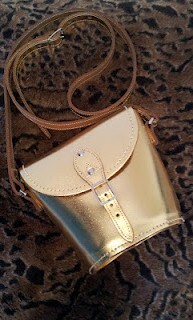 I was so excited for this little gold bag to arrive from LoveStretch. I am a very specific handbag shopper... I don't like big bags, I figure all you ever really need is keys, a phone and some money. So this bag suits me perfectly... love the trashy shiny gold, love that it secures properly with a buckle, and love that it can go across your body. 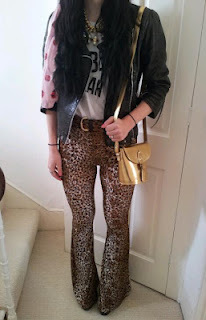 Check out LoveStretch and the brands they stock, like American Vintage, Red or Dead, Zatchels and loads more HERE.